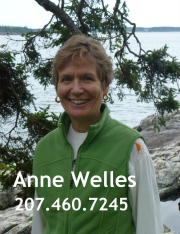 Are You Looking for Real Estate on Mount Desert Island, Maine? Or Are You Thinking of Selling Some Property Around Here? Perhaps we can assist you in your local real estate adventures! Please give us a call. 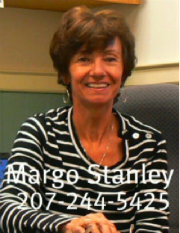 At Margo H. Stanley Real Estate in Southwest Harbor, on the beautiful Downeast Coast of Maine, you'll find an enthusiastic team of helpful local Realtors® to help you buy or sell your real estate. What can we do for you? Thank you for asking! 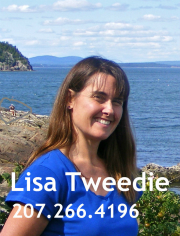 People often ask us to help them find an ideal new home here on Mount Desert Island, Maine. If you're looking for your new home on this beautiful island, please let us know how we might be able to help you out. We have a fine search algorithm that's easy-to-use and fun, too. You can find pretty much any property you might like to see whenever it's convenient for you. You can search by zip code, by town or village, or by a cool map that lets you draw a circle around where you're looking. It works for any place in Maine, too. We'd be happy to help you navigate the site, so please call whenever we can help you discover more about a property. How might we help you buy or sell local real estate? May we assist you in the successful sale of your current real estate? Whether it's your house, your vacant land, or waterfront, we can help. If you're looking for pleasant and professional assistance, please let us know. Our local market knowledge is paramount. Our search algorithm allows us to share with you absolutely up-to-date market information and property value trends. Please consider asking us to help you sell your property -- here's a link to a market evaluation request. You can receive automated daily -- instant -- alerts for new listings in any town -- or even any specific zip code -- in Maine! Our search function is a really powerful tool you can use any time at your own convenience. The information is right up-to-date, accurate, good-looking, and fun to use. Sold property and pending sales information is available too! Please contact us for your specific requests. We'd be happy to help you out. There's much more here on our site for you to use and enjoy. Please feel free to check out all our school listings. Learn about our neighborhoods and villages, and the benefits of living there. Which town is right for you? Learn about our neighborhoods and villages, and the benefits of living there. (See the "Community" tab above for school and town information.) Connect to the local town offices. All kinds of buyer resources. And seller resources. Much more. We've assembled all these resources to help you make your real estate transition, whether you're selling or buying. 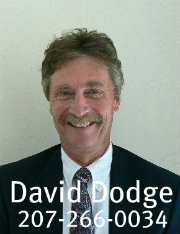 Please accept our invitation to let us help you with your Maine coast real estate matters. We look forward to assisting you in making some exciting changes in your life! Thank you. We hope you find our website useful! It's simple, and designed to do just a couple of things -- to help you buy and sell your real estate. Thank you for visiting! Please don't hesitate to call or email us at anytime! We'd love to help you make some exciting changes in your life!